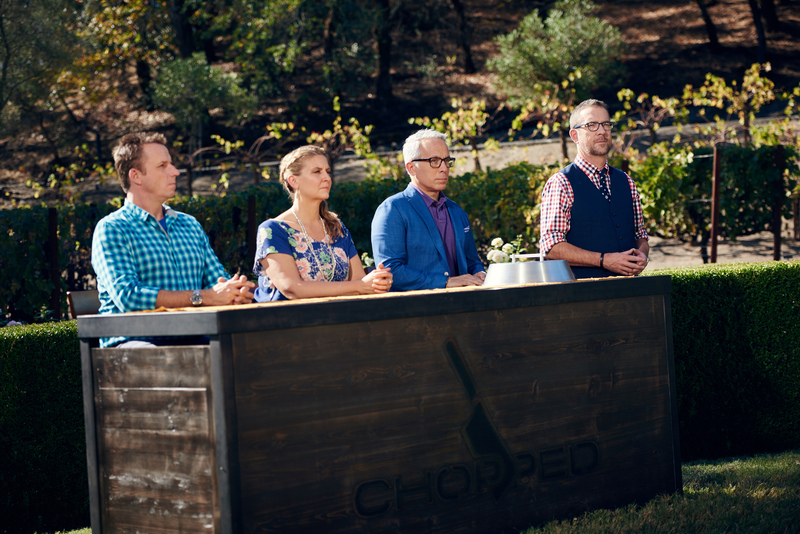 PR Newswire, NEW YORK – May 25, 2016 – Chopped is heading outdoors to beautiful Beringer Vineyards, located in Napa Valley, California, as sixteen grilling experts compete in Chopped Grill Masters Napa, premiering Tuesday, July 5th at 10pm ET/PT on Food Network. 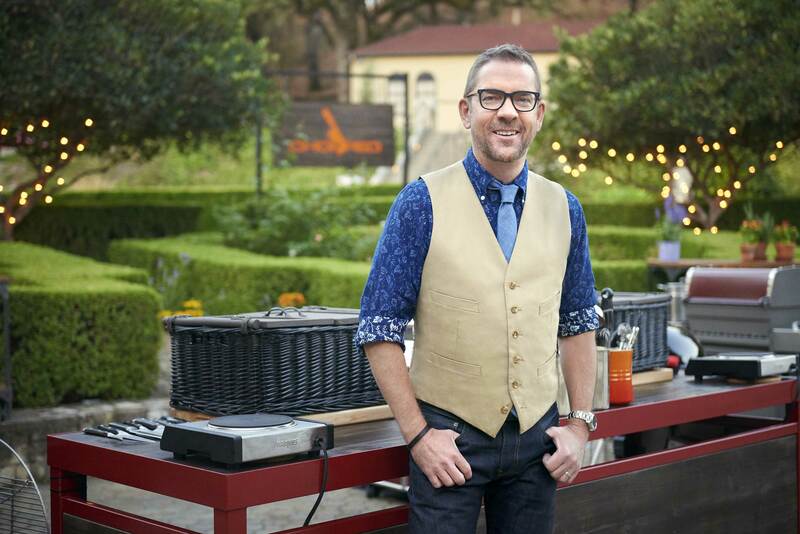 Hosted by Ted Allen, this special five-part themed tournament includes sixteen grilling professionals from around the country facing off for a chance at a $50,000 grand prize. 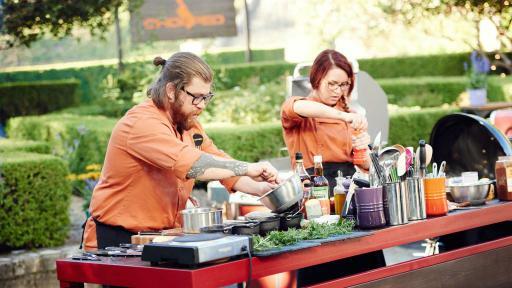 Each episode includes four chefs competing over three rounds, with recurring Chopped and special guest judges deciding the fates for each pro. The winner from each heat wins $10,000 and a spot in the grand finale, to see who will walk away with $50,000 more. 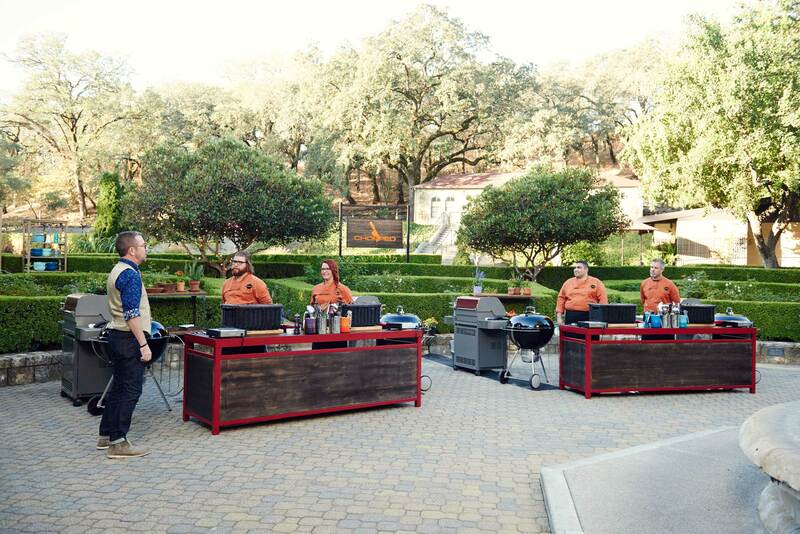 With access to an outdoor kitchen of ingredients and armed with charcoal and propane grills, as well as a smoker at each cooking station, the sixteen competitors must incorporate mandatory ingredients from the mystery baskets through three rounds - appetizer, entrée and dessert – showcasing their grilling skills to create unique and savory dishes. Over five episodes these grill pros must not only battle each other, but also take on the elements as they face the intensity of the heat from the grills and weather, along with some surprise appearances from bees that make cooking outside that much more challenging. Get more from the Chopped Grill Masters Napa tournament at FoodNetwork.com/Chopped, where you’ll uncover photo and video highlights and hear from the winners. 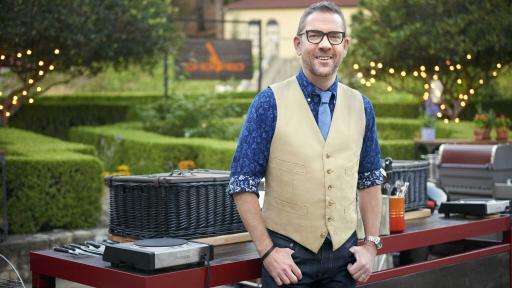 Join in on all the fun at #Chopped. Premiering Tuesday, July 5th at 10:00pm ET/PT - TOURNAMENT PREMIERE! 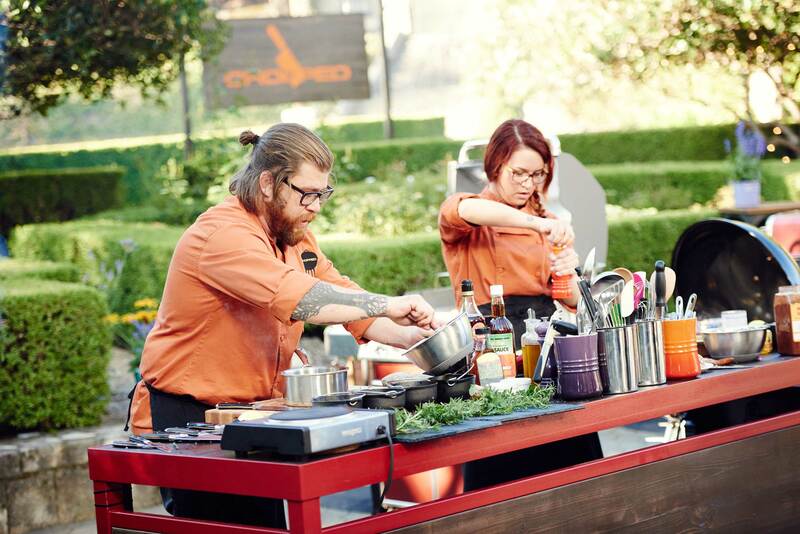 Sixteen high-caliber chefs are fired up to grill in beautiful Napa Valley, California, competing in another epic Chopped tournament event! $10,000 is at stake in each preliminary competition, and the champs will fight it out for $50,000 more. The first basket features a sea creature and a pretty, colorful veggie. A ballpark snack might throw the chefs a curveball in the entrée round. Then the judges are happy to see chilies in the dessert basket. 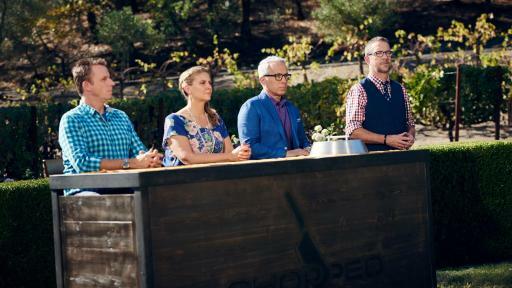 Four new highly skilled Grill Masters take over an outdoor Chopped kitchen in Napa Valley. Baked beans and lamb belly are two of the must-use ingredients in the first round. Then a seafood-heavy basket in the entrée round requires a great deal of work and creative thinking for the grillers. The two grill masters who move on to dessert run into trouble when one of the mystery ingredients shows a tendency to char quickly. 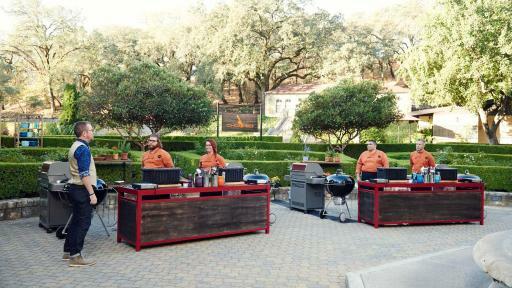 Another group of grillers gets a chance to compete in beautiful Napa Valley! The Grill Masters pound away in the first round, in an attempt to tenderize the seafood protein in the appetizer basket. Then in the second round the chefs get the gift of beef in the basket, but will they focus so much on the beautiful rib-eye that other mandatory ingredients are neglected? The final two chefs get some sweet surprises in the basket that they hope will be a good start for some yummy grilled desserts. Three grilling champs have already won a spot in the grand finale; now a new group competes furiously for the final spot! 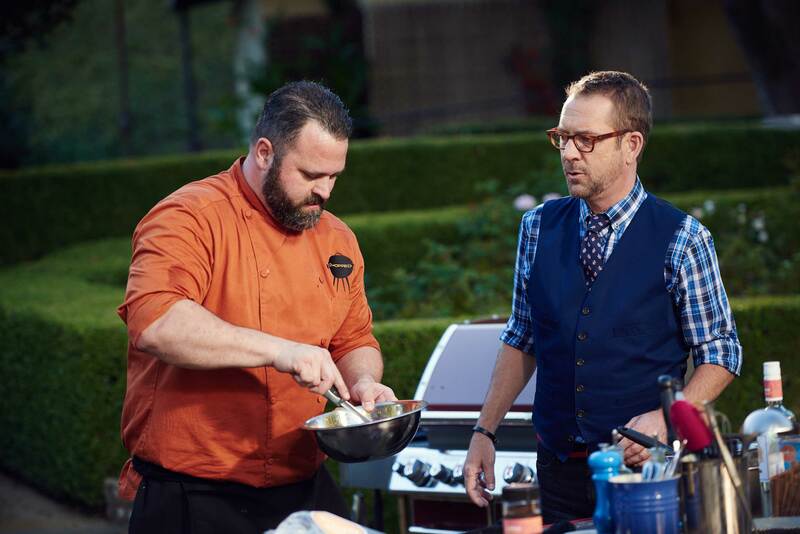 In the appetizer round, some beautiful mushrooms and a strong jam are among the mystery ingredients that the Grill Masters face. Fish butchery and flavor balancing come into play in the entrée round. Then the chefs get a yummy cake in the dessert basket. Premiering Tuesday, August 2nd at 10:00pm ET/PT - TOURNAMENT FINALE! Four champion Grill Masters are each $10,000 richer. Now they return to see who will claim $50,000 more! Half the basket is taken up with a porky surprise in the appetizer round. A serious display of grilling acrobatics follows in the entrée round, when the three remaining champs must figure out what to do with a surf-and-turf combo. 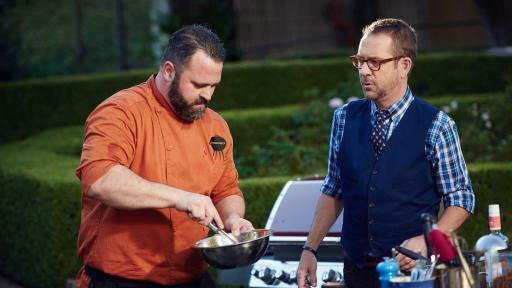 Finally, bananas and wine are two of the tricky dessert ingredients that the last pair of chefs must grapple with, as they battle for the grand prize and the title of Chopped Grand Champion!